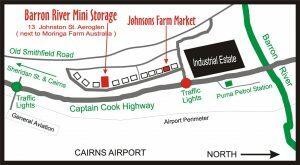 Self Storage, Mini Storage, Storage in Cairns. Our location does not flood. Its Cooler as units are located WITHIN a concrete shed. We are along the Cook highway very near the Barron River.